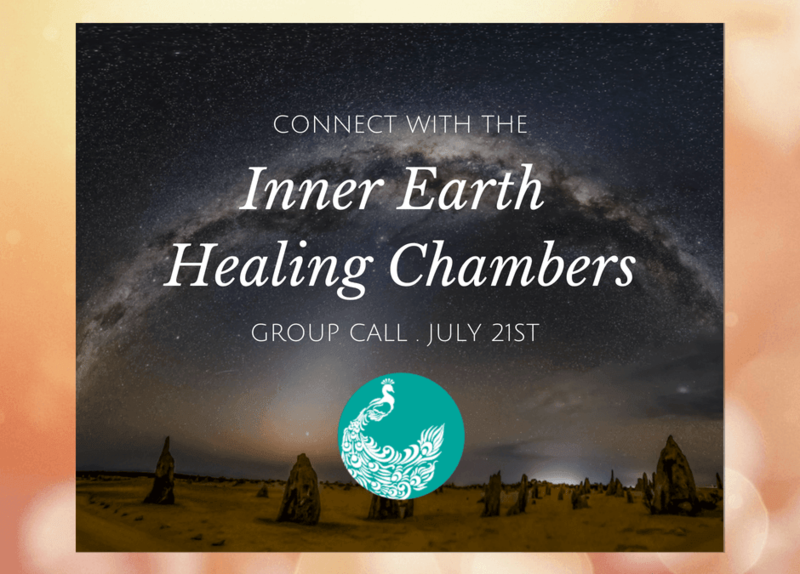 I want to share with you how I was taken on a journey by my higher self to the Inner Earth Chambers where I received healing and recalibrations. Then I was lead up to the Galactic Core to the Rose Room where I received an activation. It was an absolutely incredible experience that really helped to open me to what is below and what is above. When I returned from the journey I was thrilled that upon asking, I was given permission to offer the experience to you. 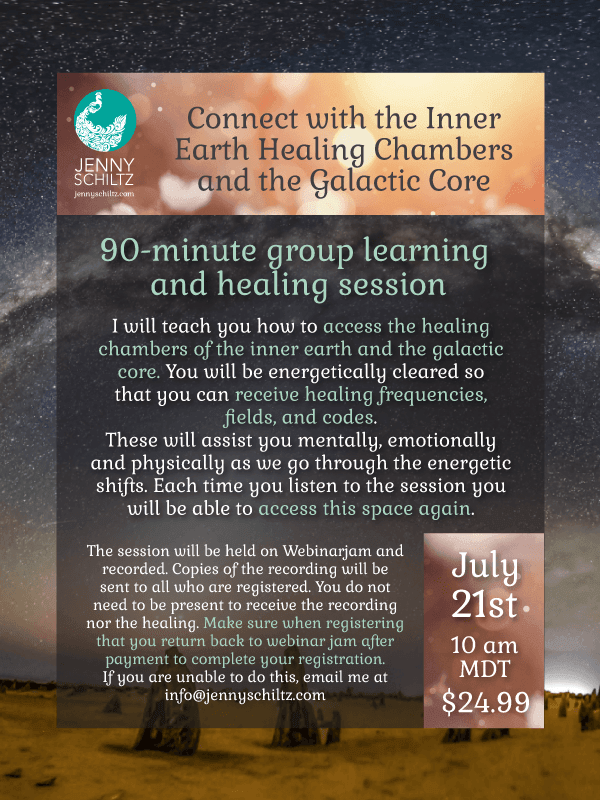 On July 21st at 10 am MDT, I am offering a group call where I will take you on a journey to meet your guide(s) and visit the healing chambers and then to the galactic core to visit the Rose room. You will receive an energetic clearing, healing frequencies, and fields that help to open you to all that you are. This session will be layered with frequencies so that each time you listen you can take it to a deeper level. I was guided to offer this during the intensity of the eclipse season as we head towards another eclipse on 7/27, the 8/8 Lions Gate and the final partial eclipse on 8/11. This is a difficult energetic time period but one where we are being given incredible help to move past the patterns that have kept us locked into a reality we are wanting to move beyond. 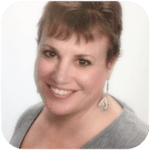 Allow this group call to assist you on your inner healing journey. I’m looking forward to this as it was a really profound experience for myself and I’m eager to guide you to your own profound experience. P.S. If you are unable to participate in this event, please browse my website that has a ton of posts on my free blog and hours of videos available for you to browse and enjoy! Dear Jenny, Im so glad I have found this website, so many interesting material. Thank you for sharing.